Posted October 24, 2016 by William Martin & filed under Syndicated. 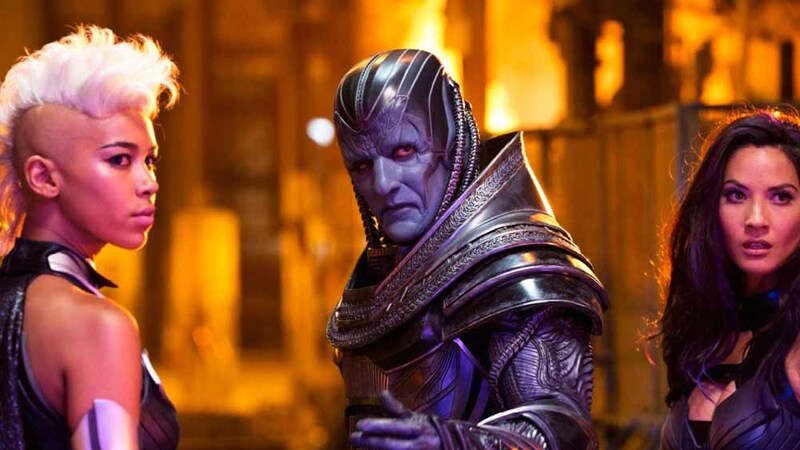 The X-Men meet their most formidable adversary yet in X-Men: Apocalypse, and to fight a mutant who is essentially a living god, they’re going to have to work together like never before. 10 years have passed since the events of Days of Future Past and our heroes are in very different places. 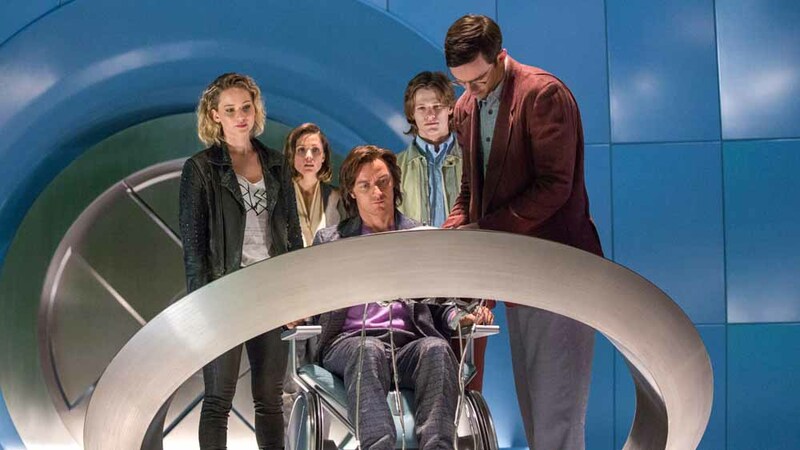 While Professor Charles Xavier (James McAvoy) and Hank McCoy (Nicholas Hoult) finally have their school for gifted youngsters open, welcoming and educating mutants who are just growing into their powers, Raven (Jennifer Lawrence) is clandestinely helping less fortunate mutants to fight back against human oppression, convinced that there will never truly be peace. And Erik Lensherr, the man also known as Magneto (Michael Fassbender) has opted for a quiet family existence in Poland. But all their lives change when the supremely powerful Apocalypse (Oscar Isaac) awakens in 1983. Angered by what he views as a human society gone very wrong, he decides to put things right – even if it means destroying everything and starting again. Nicholas Hoult returns to the role of Hank (also known, when in his hairier form, as Beast), the scientific genius behind the fledgling X-Men team’s technology. He’s confounded by Apocalypse’s awesome power, but still remains committed to helping Charles and his new students fight back. Hoult, who has played Hank since 2011’s X-Men: First Class, was part of the cast for last year’s Mad Max: Fury Road and also worked with director Bryan Singer on Jack The Giant Slayer. His other films include Warm Bodies, A Single Man and About a Boy, and he stars opposite Kristen Stewart in the upcoming sci-fi romance Equals. X-Men: Apocalypse is available on Digital HD now and on Blu-ray™, 4K Ultra HD & DVD from Monday 7 November. 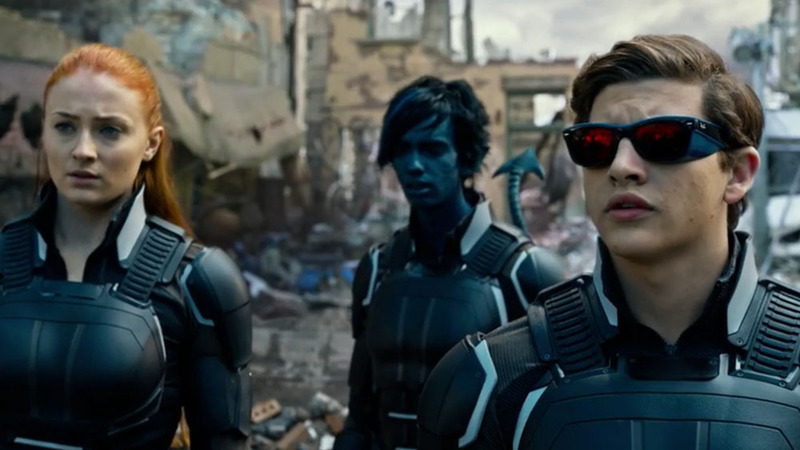 Buy X-Men: Apocalypse on Amazon here. What are the big ideas this time around? James (McAvoy) has said Xavier is going for a Miami Vice look this time. What is Hank’s style? “In First Class, I was one of Xavier’s younger students. By the time we got to Days of Future Past I was kind of his caregiver/enabler, and now we live in that big old house, running the school together. The one thing that I never quite figured out was who was doing the lunches. I thought that was perhaps the one thing missing: Charles and Hank in the kitchen making hundreds of sandwiches and wondering who can’t have peanut butter! So he’s been designing the X-Men vehicles and other gear without Charles’ really knowing? So it’s going to hit the 1990s, and you’ll become the X-Men version of Friends, all in a coffee shop. Hank is very much of a scientific mind; he’s very logical, and now he’s confronted with this idea of Apocalypse, who, while a mutant, is, for all intents and purposes, a god. What does that do to his head? “The whole thing is pretty bamboozling to Hank because I don’t think anyone’s ever witnessed abilities like this before. So they’re kind of on the back foot from an early moment in the film and wondering how this is even possible. Then they’re playing catch up to try and figure out who this guy is, what his powers are and what he’s capable of, and how the hell they’re going to stop him. Is Hank tested again in this film? Does he have a rough time of it? “He does, because Charles is in the middle of his own peril in this film, and that means an unlikely group has to band together to try and save him. And while Hank has started to grow some confidence and faith in his powers in the last couple of films, he is still not necessarily a leader. Did it mean you got to do a little more in terms of action? “Yeah, I did. I think Beast has gotten stronger in this one. He’s been working out between movies! We were doing some very cool things. The stunt teams on these movies are always wonderful and my stunt double does some pretty wild and gymnastic parkour stuff that I could never quite dream of, but when possible I get involved and get to pretend to be a lot stronger than ever humanly possible. Have they tweaked the makeup again, made it easier for you to cope with it? “The make-up is the same from the last film, but the make-up guys are on it. They’re wonderful, and I think they managed to get it down to two hours to put the full face on. And they built me a new muscle suit this time, which was slightly lighter weight and more breathable, so I wasn’t as hot. And he’s a great, thoughtful actor to work with, which must connect with you? “Yes, that’s the thing with these X-Men movies, there’s a grounding and a basis for each of these characters. And then when you get great actors like Oscar or McAvoy or Fassbender that are bringing them to life, you really care for them and you have an understanding of them, which means that the films can have a real depth. “Yeah, from what I witnessed of the final third action sequence, it was ginormous! And there are a lot of people with a lot of powers floating around doing all sorts of things. When you’re there on the day, you’re doing your smaller sections of it and then there’s a lot of work to be done with visual effects afterwards as well. Bryan’s directing again. Is it just so easy now to work with him, given that he made Days of Future Past? “There is always a lot of fun going on behind the scenes, which is one of the best parts of it. If you’re having fun between scenes, then it shows through on screen. People do their best work in that environment. And it’s creative – you’re hanging out and having fun and then you come up with other ideas to try on screen. And you’ve got to get along, haven’t you? 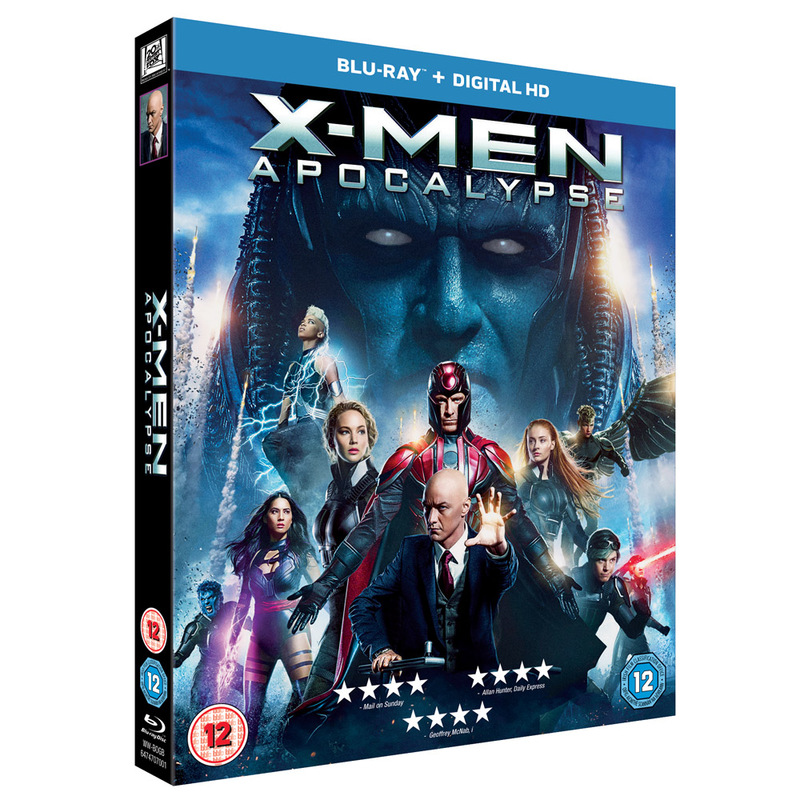 X-Men: Apocalypse is available on Digital HD now and on Blu-ray™, 4K Ultra HD & DVD from Monday 7 November, from Twentieth Century Fox Home Entertainment.